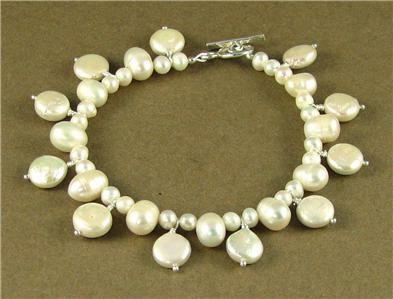 Home › Bracelets › Pearl and silver dangle bracelet. Fine and sterling silver. Designer handmade. 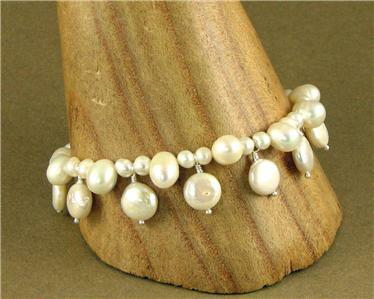 Pearl and silver dangle bracelet. Fine and sterling silver. Designer handmade. 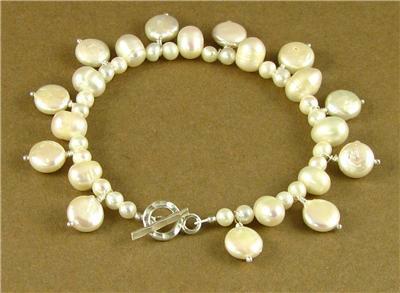 Pearl and silver bracelet. Fine silver. Designer handmade. 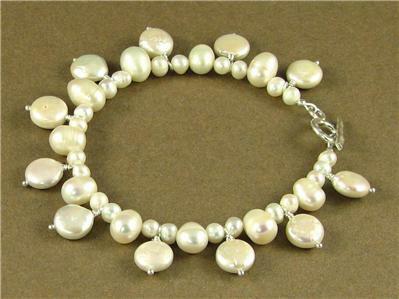 This is a lovely pearl and silver bracelet. 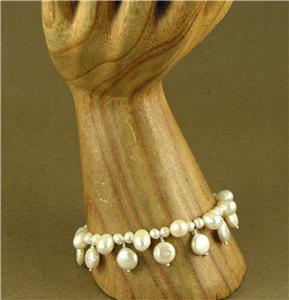 The pearls are natural freshwater pearls, undyed and unbleached. 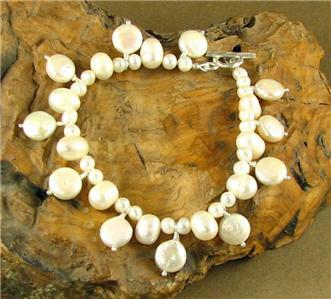 The clasp is extremely pure fine silver -98%. 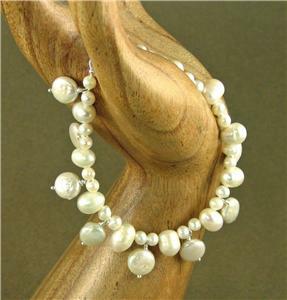 All the dangling pearls have been made with sterling silver pins. The bracelet is 7.5" long (19cm). I'm happy to alter the length if needed, for no extra charge. Just let me know the length you would like when you order. I am the designer of this bracelet and I have made it with my own hands. I have been making my living exclusively from designing and making jewellery for 9 years. I travel every year to seek out old and tribal silver from Asia and India along with semi-precious stones. Back at home in Brighton, England, I make these loose pieces up into beautiful and unusal jewellery. Everything I make is of very high quality. I use the very best stringing materials, so it drapes well and is not stiff, and yet is extremely strong.